Large project can seem daunting when everything is in front of you and nothing has been done. It’s easy to feel overwhelmed by all the work you’ll need to do and as a result never get started. The trick is to break down those large daunting projects into smaller manageable tasks. For example in 2008 my biggest priority was to redesign this site and move it to a new domain. It was a large project, but one I felt necessary to for my business. It was something I had been thinking about much of 2007. 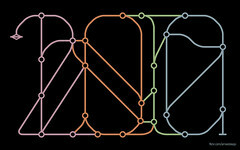 In fact I’d bought the domain in 2006 and had even begun work on a new design. However until I set it as a goal it was something I might work on for a couple of days and then easily ignore for a few months. Too much work always seemed to be in front of me. Speaking of calendars it’s very important to make time to work on your tasks. If you wait until you have time you won’t ever find the time. Block out some time every day or other day to complete some task taking you toward your goal. Some days that task was the first thing I worked on and others days it was the last, but those tasks were always a part of my daily and weekly schedule. You won’t complete your goals overnight, but if you break each down into smaller tasks, make time for those tasks, and consistently work on them, you will be able to complete what you set out to do. That brings us to my goals for the coming year. I’m listing 4 things to accomplish this year. 2 of them are sort of continuations of the ongoing goals from last year. I’m being a little more ambitious than last year, but some of these goals work together. Something WordPress related has made my list of goals each of the last two years. In neither year did I manage to accomplish what I set out to do. Maybe I’m deluding myself listing it again, but I don’t think so. 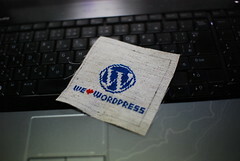 I love working with WordPress and I’ve learned so much about it these last two years. I’ve missed out on a few opportunities that have come and gone, but have a better idea for the business model I want to develop and how to get this whole thing in motion. The first step in that is getting a site launched devoted to WordPress. I want to launch with a reasonable amount of content and have at least a few weeks more content ready in advance. I’ve already begun the process of creating that content, have purchased a domain, begun work on a design, and written some of the non blog pages. 2009 saw me happier with the quality of content I was producing. I’d like 2010 to see me happier with the quantity of content I’m producing. This is in essence the continuation of last year’s blogging goal. There are so many valuable ways to use content when building a business, especially a business online. Content is the foundation for bringing people to your site and bringing them back again. The more people that know about you the more people can potential hire you or buy from you and the larger your network grows. That WordPress site isn’t going to attract people on its own. I hope to build a community around the site and to do that I’m going to need to offer a reason for people to visit and revisit. More content and people here will also make it easier to launch that site. The idea for content isn’t just to keep it all for myself. One of the better ways to get your name out there and market yourself is give some content away. 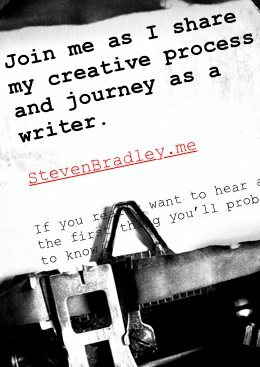 I’d like to be able to offer several guest posts a month to other sites and even get paid for writing a few posts. I’ve begun collecting sites with guest posting and paid guest posting opportunities and have begun the process of brainstorming topics for those sites. Much of my marketing strategy depends on being able to produce content regularly and more often than I have been. The dream right? Well I don’t see this goal as a way to sit back and do nothing while collecting a check. In fact I don’t have any specific monetary goals here. This is really an extension of being more productive to free up time for other projects. Creating passive income takes a lot more work than the phrase seems to indicate. The beauty is once the initial work is done it can continue to bring in revenue without the need for an equal amount of additional work. I’ve made a small amount of money in the last couple of years through advertising and affiliate marketing and would like to put a few more things out there. Ideally any extra money made passively will allow me to turn down the occasional client project that I might only take for the money. That savings in time should allow me to work more on my own projects. A somewhat vague sounding goal I agree. I haven’t quite decided what it is I want to do with the forum other than to continue to bring in new members. Last year I simply let it grow on its own. It’s done well, but needs more to grow more. When I started the forum I saw a lot of potential in it. I know it’s becoming common thought to view forums as a thing of the past, but I don’t see them that way. To me they are one of the best ways to truly attract and engage a community. The simplest thing would be to market the site more in an effort to attract more advertisers. I’d like to do more with the forum, but it’s a place to start. As it so happens, vBulletin, the forum software I use has very recently released a major upgrade. It’s moving toward a full publishing suite which will make it easier to build a site with a forum at it’s center instead of only having a forum. The new version also looks like it will be easier to customize. The effort to customize previous versions is one reason my forum still has the default look and why doing something with it didn’t make my list of goals for 2009. The first step here will be to test the new version and then upgrade. Once done I’ll begin thinking more about what can be done with the site and where I want to take it. I have no idea. Every year a few things I didn’t expect happen that take up more of my time than I thought. I assume something will happen again this year as well. However by setting some major goals for the year and making sure to actively work on them, I know any distractions that crop up won’t keep me from growing my business long term. Maybe one or two of the goals above won’t get completed quite as well as I’d like, but I’m sure I’ll make progress on all of them in some way or another and when next December rolls around I’ll be able to look back on the year that was as an overall success. Do you set goals for the coming year? 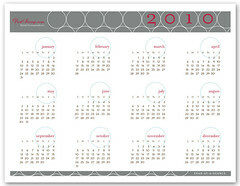 What specific things would you like to accomplish in 2010? I really enjoyed the reading of your 2 posts about setting goals. You have a nice writing style and also offer valuable advice. I must write down my goals and bookmark your website. Thanks Adrian. I appreciate the kind words. Now that my goals are out there, hopefully I can actually get them done. I’ve at least started the process of prioritizing and breaking things down into more manageable tasks.